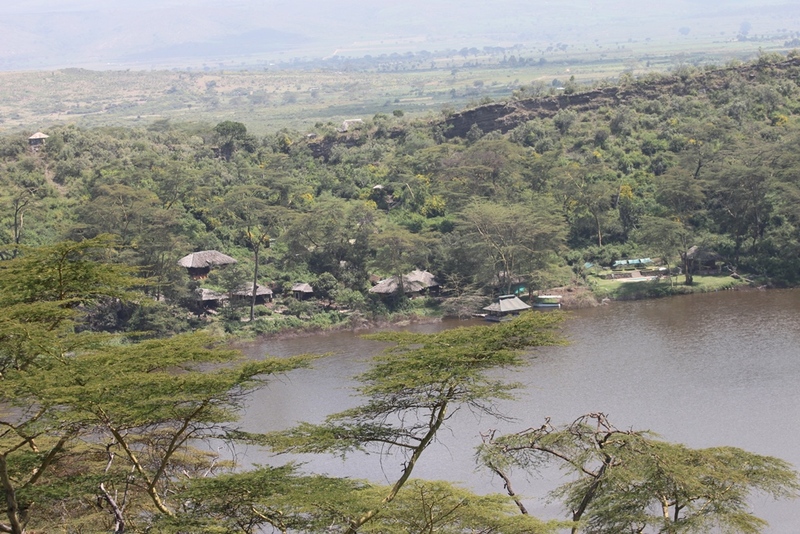 Tucked away in a hidden corner of Kenya's Great Rift Valley, Crater Lake Camp offers a stirring encounter with wild Africa, just ninety minute's drive from downtown Nairobi. This magical lakeside lodge is the perfect stopover en route to the Nakuru and the Maasai Mara game parks, as well as a romantic getaway by itself! History is everywhere at Crater Lake. The 10,000-acre game sanctuary houses the famous hilltop grave where Happy Valley's tragic heroine, Lady Diana Delamere, is buried with her last two husbands, Gilbert Colvile and Thomas Delamere. For the truly intrepid, there are the mysterious 'Caves of God' in the golden wheatfields of Ndabibi, reputed to be an inspiration for H. Rider Haggard's Allan Quartermain. The spacious eleven tents sit in secluded clearings in the lakeside forest with sweeping views over the flamingo-lined waters. Each tent is furnished with a giant four-poster bed, the finest furniture and an ensuite bathroom with piping hot shower. The new 'honeymoon tent' or the “Clouds”offers a sumptuous bedroom and a deep sunken double jaccuzzi overlooking the lake through a giant stained-glass window. The camp is built on the shores of green volcanic like in the bottom of an old volcanic crater.The crater is 87 hectares in extent and the lake takes up to 14 hectares of this area.Over the last four years,the camp has been awarded a total of four awards by the Kenya travel Magazine "Travel News and Lifestyle" including Best tented camp in Kenya and Best Weekend getaway. It has also gained the reputation of being the most romantic camp in Kenya.The camp is open for 24 hours. Activities at the camp are centred round nature and wildlife.There are guided nature walks in the crater and the Sanctuary.The bird list is over 400 species,of which it is easy to spot more than 100 species in a day. There are 30 species of wildlife in the sanctuary. At night the Hippo come out of the main Naivasha lake to graze,and it is possible to see the Aardvark and spring hares on night game drives.There is a colony of over 70 Colombus monkeys living here. In addition for the most of the year are Flamingoes covering almost the entire lake, numbers of which can go up to 3-4000 . The main Restaurant and dining area consists of a high thatch roof, with an African rustic verandah which gives a breath taking view of the Crater Lake. Drinks and snacks are available in our restaurant throughout the day. After a long eventful day, what better way to unwind than to take a few drinks by our ‘bone fire’. Meals can be enjoyed either in the main dinning room, at the verandah or by the fireplace overlooking the beautiful Crater Lake. Our chefs take great pride in the food served. All our meals are made with the outmost expertise of the chef making it nothing but mouth watering. We cater for a wide range of tastes including vegetarian specialties. Would you like to stay at Crater Lake Camp? Find the best Prices & Specials here!